We have a large data base of suppliers in Australia this means we can source the cheapest deal for the chosen vehicle class you are enquiring. And because prices and specials change daily and upon season or destination and number of days rented etc... the quote you receive is clear and simple, up to date and shows availability for you to make a booking. 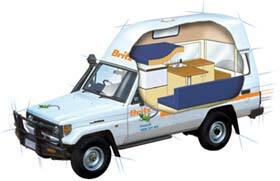 This is the ultimate 4wd for those people who want a real adventure in the outback of Australia. 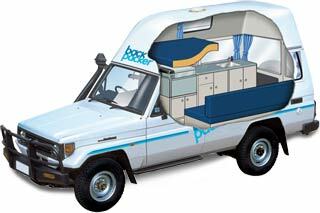 The rear cabin is very spacious and has plenty of ventilation with side flyscreens along the pop top roof. 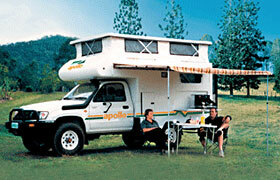 Go wild in this true outback 4WD camper. 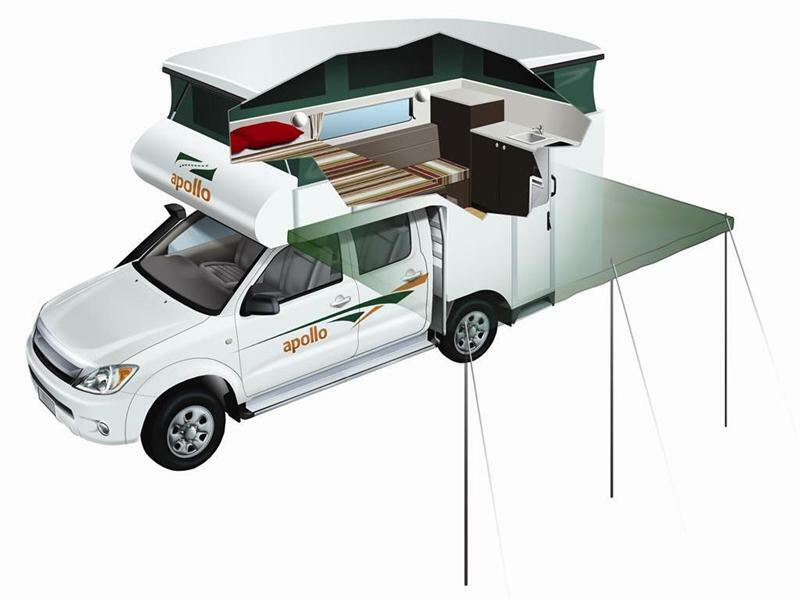 This 5 berth camper has a cleverly designed slide-out kitchen unit plus a large tent, awning, camping stools, ratchet straps and roof rack, you will be King or Queen of the off-road! 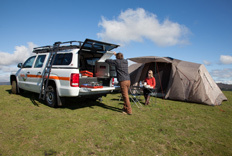 Campervan or Motorhome selfdrive Holiday today.